Caught a fish on our baits? Simply fill out the form below to get your catch featured on our channels! 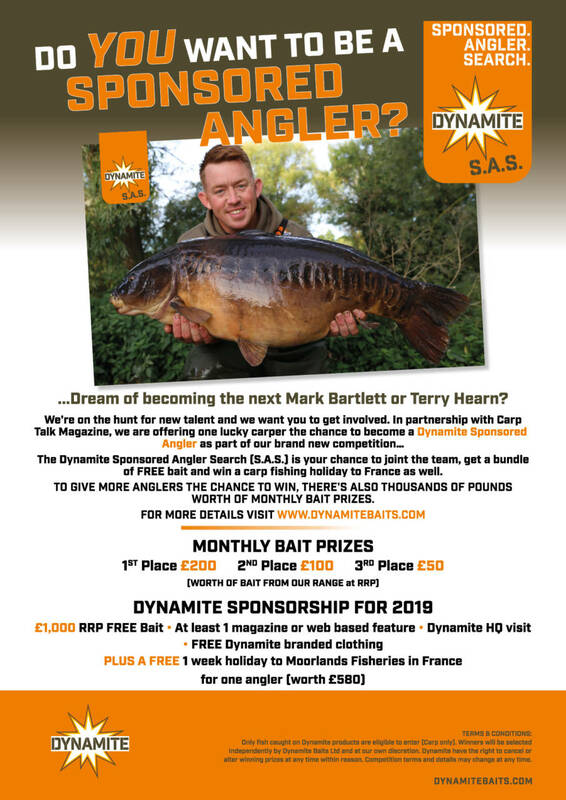 Or for carp catches why not enter our Dynamite SAS Carp Fishing Competition? Scroll down to find our more..
To enter simply use our bait. Catch a fish and fill out the form below. The Yearly and monthly winners will be selected by team Dynamite and published on our online channels with the monthly awards and number of captures going towards your chance of winning the yearly prize, so the more you enter the better chance of winning! I agree to the terms of the competition as set out on this page. By ticking the box below I confirm I agree to Dynamite Baits Ltd and third party angling publications and their subsequent online portals, using my personal data and any media files provided on this form for publishing purposes only. Data will not be used for any other purposes. I have read and understood the privacy notice found at the bottom of our home page. I understand that I am able to withdraw my consent at any time by [email to: web.eu@dynamitebaits.com]. I understand that you might not be able to stop immediately processing my personal data if you have already scheduled to process it automatically. Competition terms and details may change at any time.